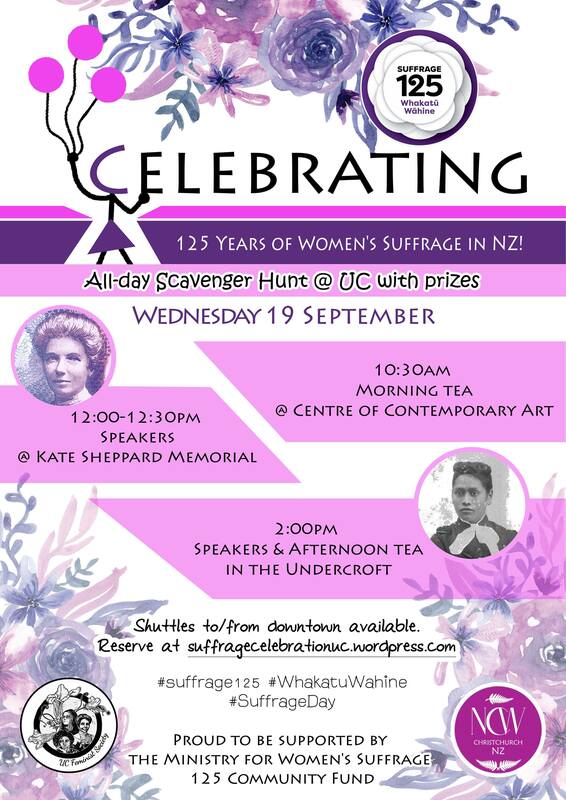 Join FemSoc in celebrating the 125th anniversary of women gaining the right to vote in New Zealand on Suffrage Day, 19 September! You don’t have to go far – the UC Feminist Society is partnering with the National Council for Women – Christchurch Branch to bring you food, speakers, and women’s history both downtown and on campus. Events are proud to be a part of the Suffrage 125 national event programme and supported by the Ministry for Women’s Suffrage 125 Community Fund. Reserve a shuttle to downtown via the event website. Share you’re going on the Facebook event.